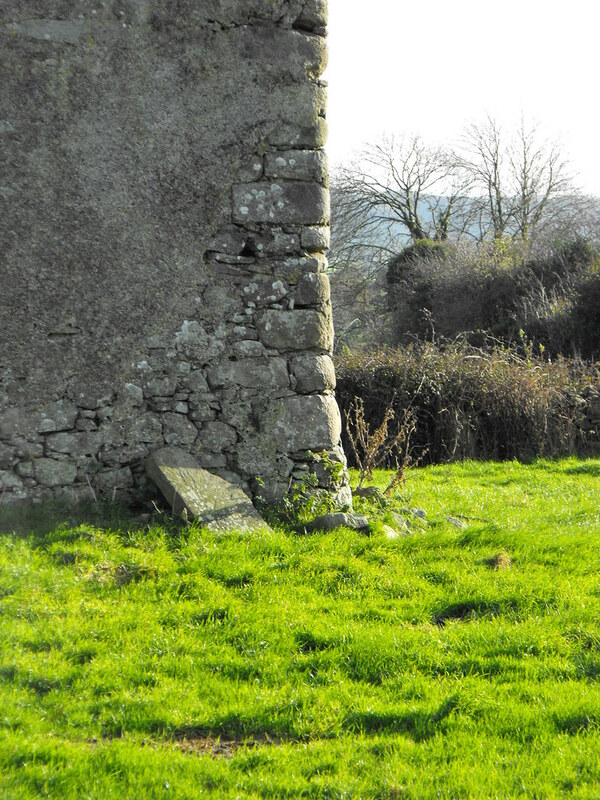 The Standing Stone: Knockane, Tower House, Co. Tipperary. 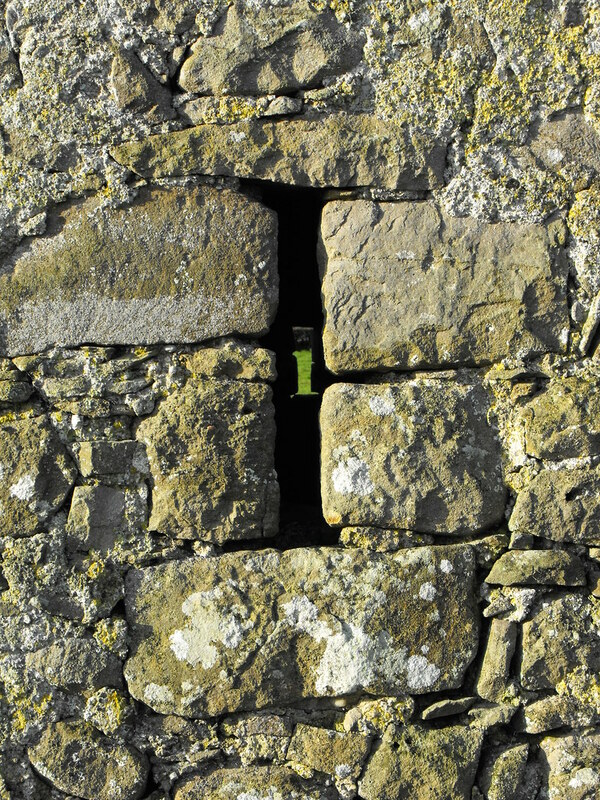 Knockane, Tower House, Co. Tipperary. Location – Located just outside of Toomyvara. During the winter months you can see it from the N7 from a great distance. 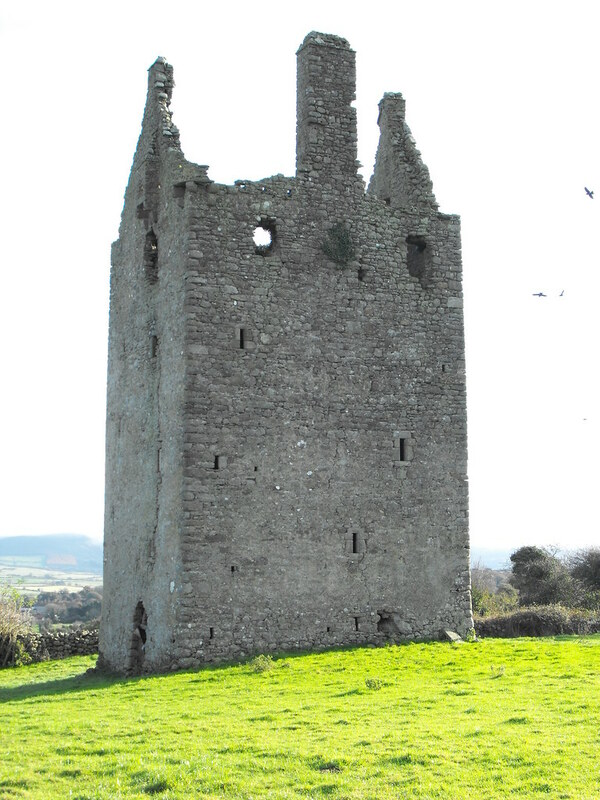 Description and History – This is a really beautiful tower house and has its own individual character. I had seen pictures in the Archaeological Inventory but had never set out to see it. That was until I saw it from the N7 last winter. I went out the next weekend determined to get there. It is located at the far end of a cattle field, which was luckily empty. The fence is in bad repair and was covered with barbed wire and thorns. I managed to get over it eventually and made my way to the castle. 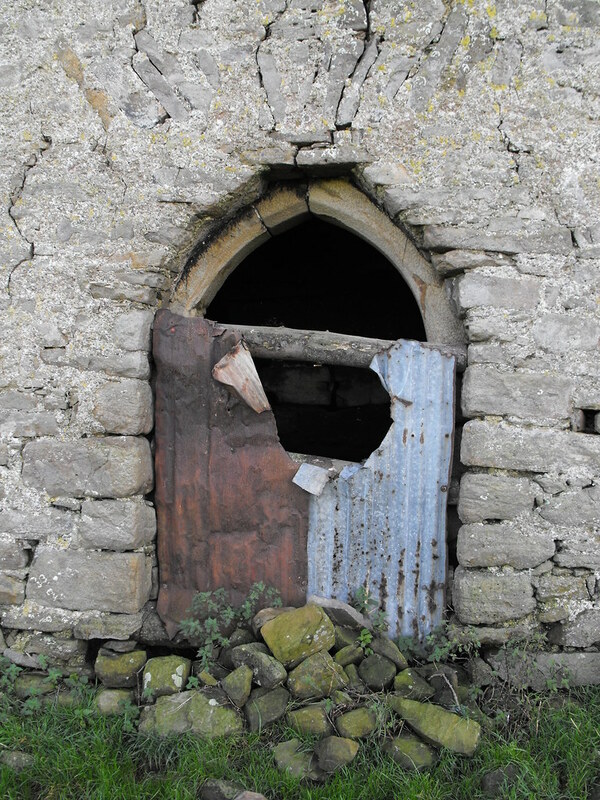 Unfortunately for me the door had been blocked up with corrugated iron. Someone had obviously made it through since there was a hole pushed through but they must have been a much smaller person than me. Maybe I will get in there someday. However, just seeing the outside was a treat. The tower house is about 10m x 9m and about 25m high. There is a slight base batter and nicely rounded quoins. 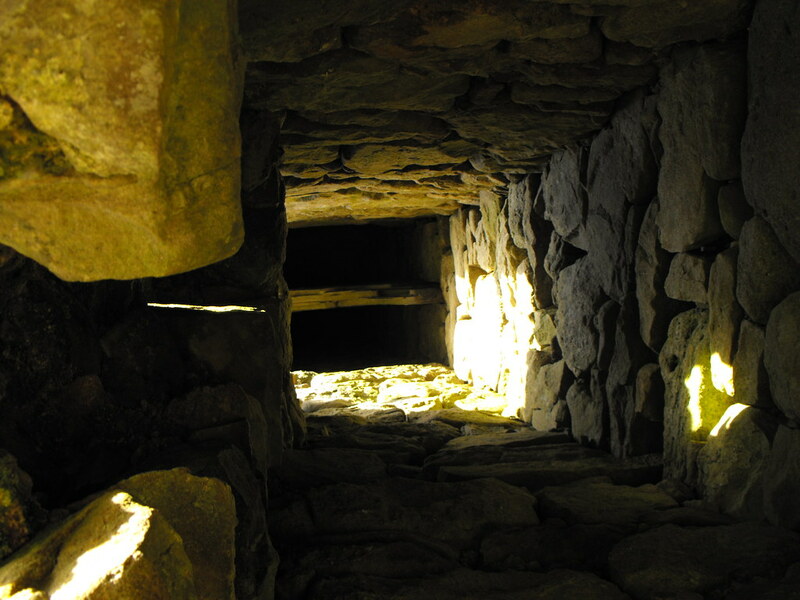 There are bartizans over the NW and SE corners and a machicolation over the entrance. 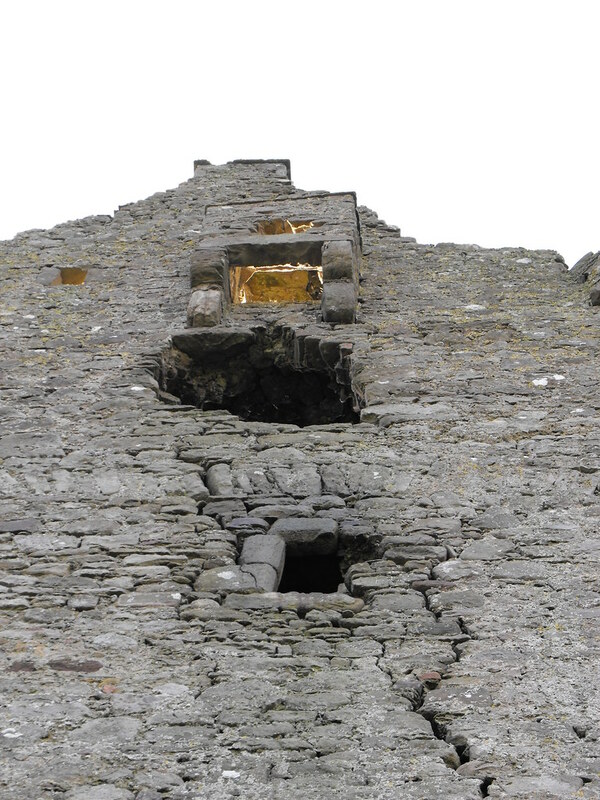 The spiral staircase is in the SE corner of the castle and can just been seen through the hole in the blocked up doorway. All the floors survive (although I did not see this) and you can get right to the top. I am really looking forward to the day I get in there. From what I could see on the inside it looks like the castle was burned quite badly at some point. I couldn’t find out anything about its history but it appears to have been built in the 17th century. Difficulty – Easy enough to get to if you can get over the fence. Ask permission. View from the fence. It can get a little muddy. 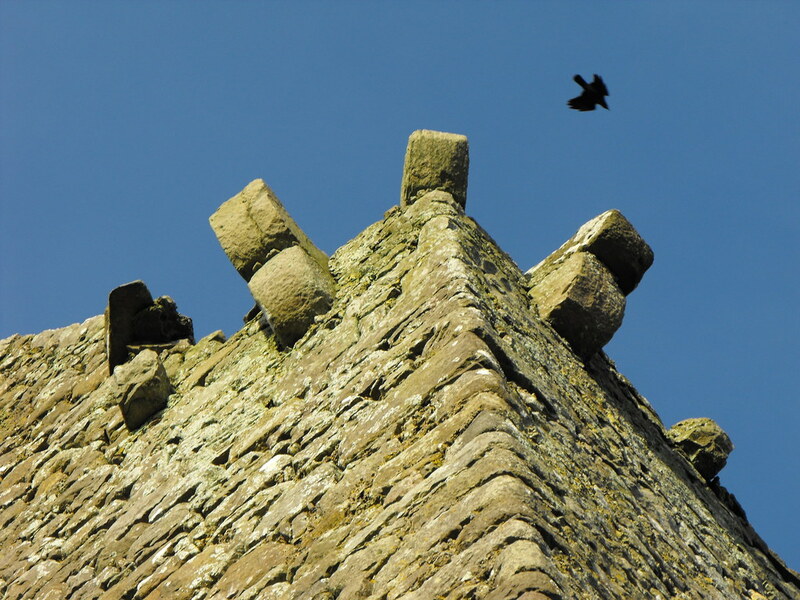 The chimney stacks and gable ends. The remains of one of the bartizans. The other bartizan is more in tact. 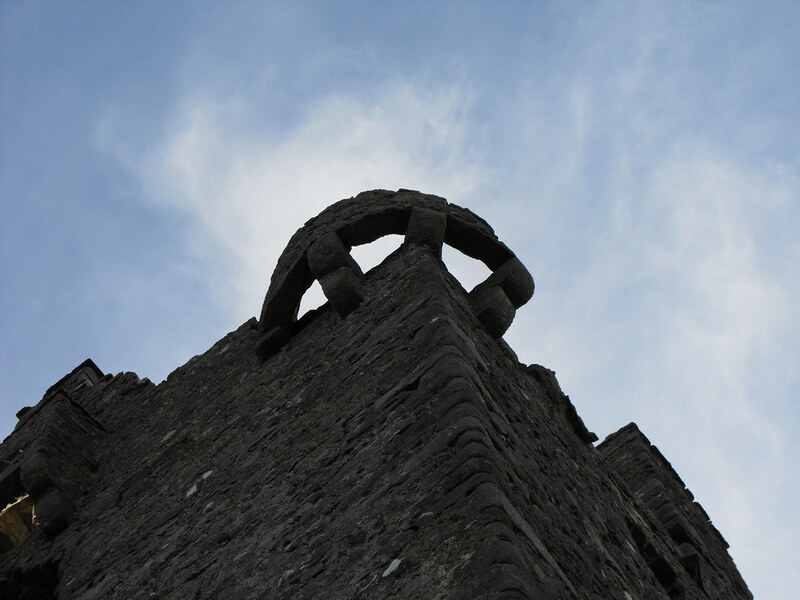 Looking up at the machicolation. I could get through to top bit and when I go back I will take someone with me to help me in. Looking up one of the garderobe shoots. A risky undertaking when the castle was in use. A glimpse of the inside from the door. 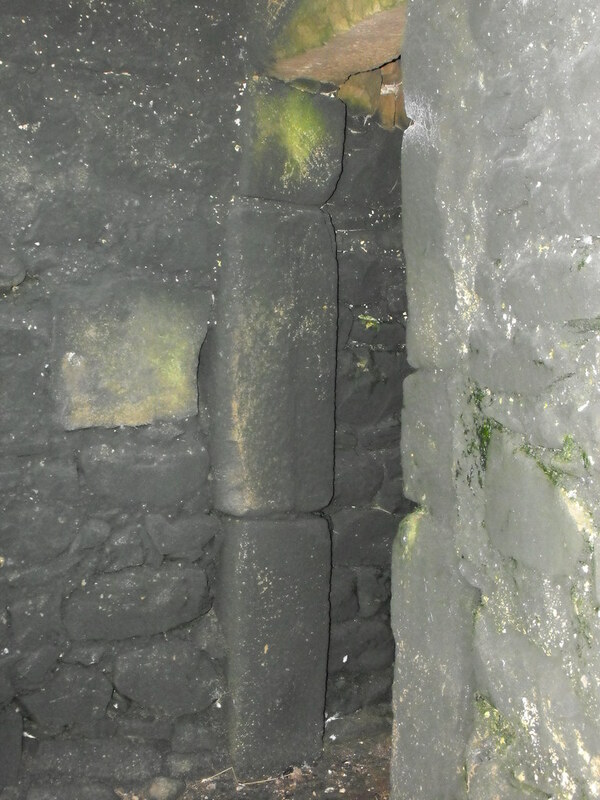 This doorway leads to the spiral staircase. Note now charred the stone is. 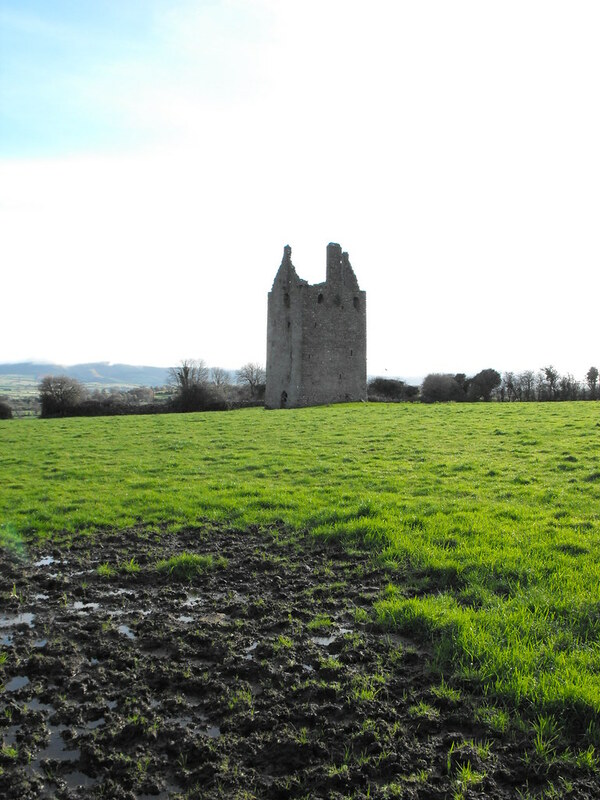 Hi, My Mum grew up in Toomevara and you can see Knockane Castle from where she grew up. 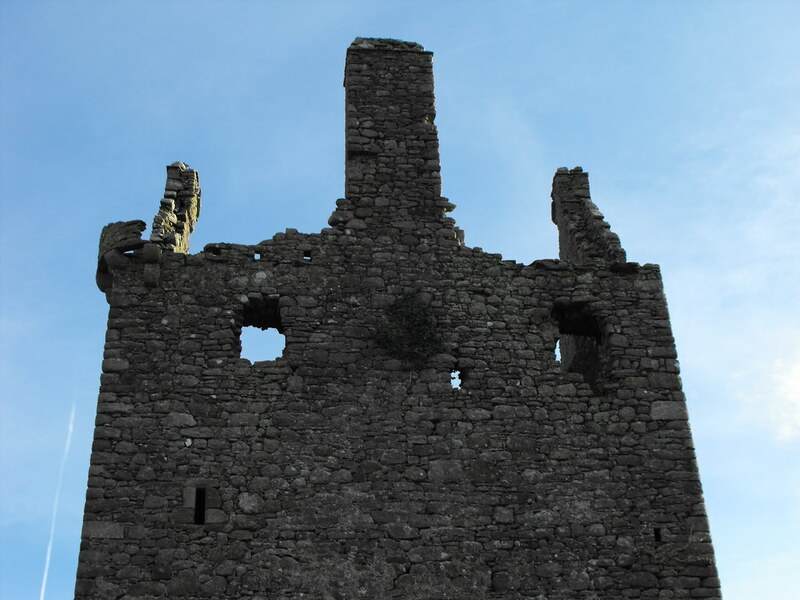 The Castle, or Tower House, was a huge object of fascination for me as a Kid. I was always under the impression that the CCRak on the Wall (on your 8th Photo down) would cause the Castle to collapse if it was hit by Lightning Great review. I thkni since then I've realised that its noting more than a "surface Scratch" as it were and that its had its fair share of Lightning Strikes :-D.
Thanks for your comment. Great to hear from someone who knows the castle well. I would love to go back and get inside some day. My relations owned the old farm directly opposite but they passed away in the late 70's. We used to spend a lot of our holidays here. 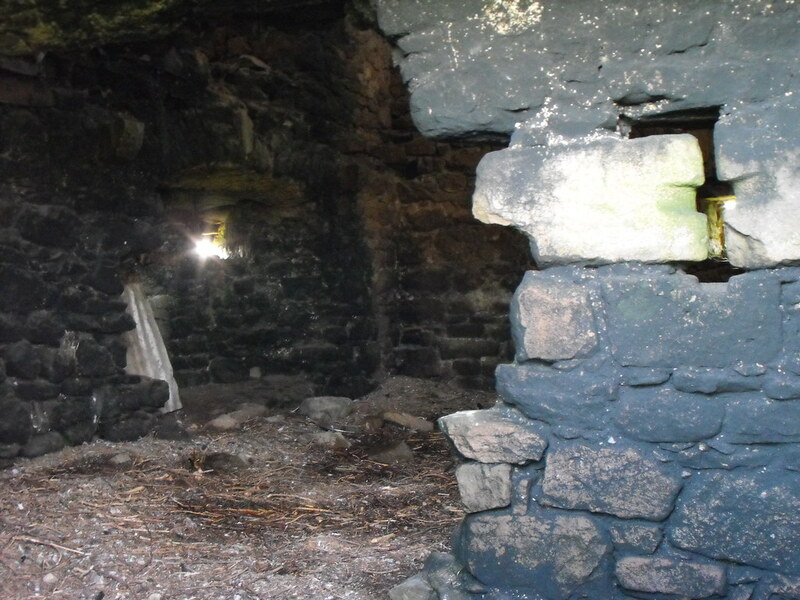 The old cottage is in ruin and used as an outhouse for some animals. The land they owned was quite large about 100 acres so I was told. I am not sure if this included the Castle lands. As my grand aunts got older they could no longer manage the farm and were greatly helped out by their neighbours the Grace family. They left the land to them in their will. The Grace family own a good deal of land in this area as far as I know and if you are visiting again perhaps you should ask them. I think they have a grain store. Their own family farmhouse was the first one on the first bend in the road as you drive to the castle. I was there in the middle 1970`s, and was able to photograph the entire inside. Before mass tourism, the entrance way was open, and you could go right to the top. If I had the money at the time, I would have put an offer in, bought it and repaired it to live in. Unfortunately no money came my way, and now too old to think of it again.